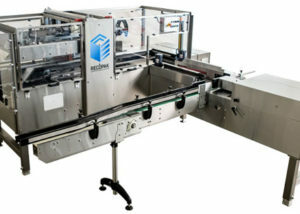 RECOPAK design and manufacture Innovative Packaging Machinery. We specialise in the Dairy, Wine, Beverage and Water processing industries as well as many other food product lines. 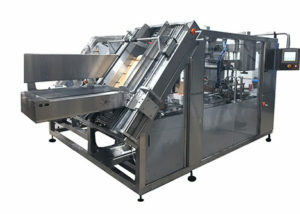 Can, bottle, bag or box; RECOPAK are your Packaging Machinery Solution. We provide ready or custom-made solutions to satisfy each customer’s requirements and the ever changing needs of the industry. 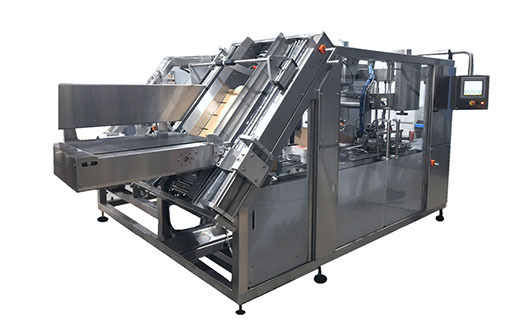 Our Wraparound Case Packer is an intermittent motion machine that is able to pack bottles, jars, cans or packets into wraparound style cases. 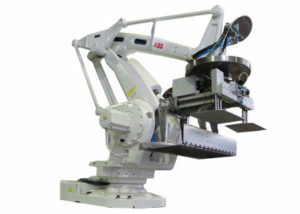 This machine features an individually designed product infeed system to meet customer specific requirements. Our Semi Automatic Case Over Product Packer range offers a number of different packing options for all types of products. Overall productivity is increased while labour costs are minimised, as only one operator is required for most applications. Our Palletisers offer a very compact footprint. Maximizing floor space,reduces labour costs, increase your productivity and most importantly eliminate any issues with occupational health and safety. Increasing the efficiency of your workplace and reducing the outgoings is the aim of any business and Recopak have your total palletising solutions. For more information regarding what RECOPAK can do for you – please contact via the many options below.